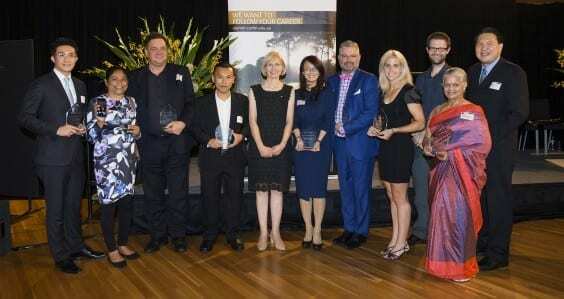 A global humanitarian, Indonesian-based innovators and an Indigenous psychologist are among those recognised at Curtin University’s 2018 Alumni Achievement Awards. The Awards, now in their fifth year, recognise graduates who have demonstrated outstanding accomplishments and an exceptional standard of excellence in their field of endeavour. 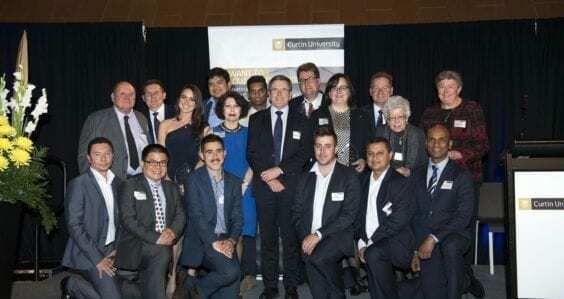 Curtin University Vice-Chancellor Professor Deborah Terry congratulated all award recipients for their incredible achievements and significant contributions in their chosen fields. 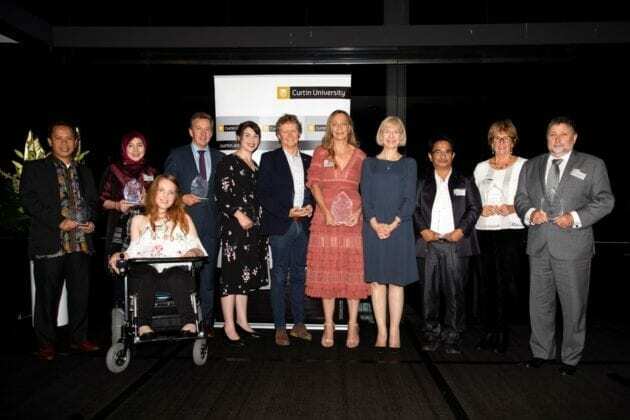 “The Alumni Achievement Awards acknowledge the very best of Curtin’s graduates who have enriched the lives and welfare of others through their commitment to making a better future for local and global communities,” Professor Terry said. The Lifetime Achievement Award was presented to Dr Tracy Westerman – a Curtin graduate and Njamal woman from the Pilbara, who was the first Aboriginal person to complete a combined Master/PhD in Clinical Psychology, and who has dedicated two decades of her life to reducing the high rates of mental illness among Indigenous people. Centre for Humanitarian Leadership Founding Co-Director Associate Professor Phil Connors was awarded the Global Impact Award in recognition of his work that has assisted international communities affected by crises. Aceh-based Dr Syaifullah Muhammad, who completed a Doctor of Philosophy (Chemical Engineering) at Curtin in 2013, along with his team at Syiah Kuala University, was recognised with the Innovation Award for his work, in developing an innovative, energy-efficient technology to extract high-quality patchouli oil from the patchouli plant. The Community Service Award went to Katie O’Donnell, for her work mentoring children at WA’s Variety Youth Choir, and Gloria Sutherland, in recognition of her advocacy for equity in health services for those in the Kimberley. The Young Alumni Award was presented to leading Australian medical journalist Melissa Davey and entrepreneurial pharmacist Travis Bailey, who established the South-West Hospital Pharmacy and Shenton Park pharmaceutical manufacturing facility PureIV. The recipients of the Professional Achievement Awards were Dr Rahayu Puspasari, who has been recognised nationally in Indonesia for her strategic leadership, Warrick Hazeldine, who co-founded a leading strategic communications consultancy, and Indonesian-based Dr Ahmad Agus Setiawan, for developing a water elevation supply system using renewable energy for those with no access to clean water. More information on the awards can be found here. The Lifetime Achievement Award is the most prestigious of all the Alumni Achievement Awards. The award recognises a graduate who, over the course of their lifetime, has built an outstanding reputation based on exceptional contributions to their field of endeavour and/or the community, and inspired others to strive for excellence. Dr Tracy Westerman is a proud Njamal woman from the Pilbara who has worked for more than two decades to reduce the high rates of mental illness among Aboriginal people. She founded Indigenous Psychological Services in 1998 to help Aboriginal people, in the absence of government funding. Dr Westerman has trained 22,000-plus clinicians in culturally appropriate psychological approaches, delivered national and international keynote addresses, and acted as an expert witness in parliamentary inquiries. 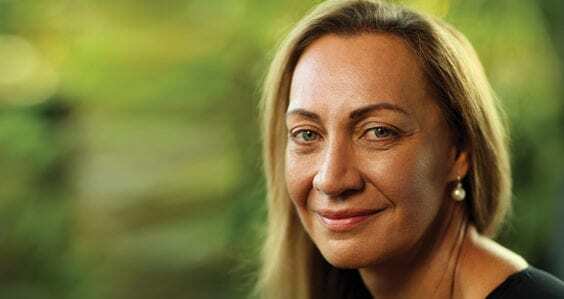 She has received numerous awards and is WA’s 2018 Australian of the Year. The Community Service Award recognises Curtin graduates who have made a significant contribution to the wellbeing of others through voluntary or other service in the community, locally or globally. 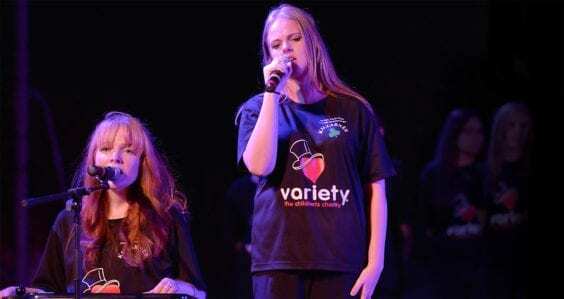 Since starting her journey with WA’s Variety Youth Choir in 1998, Katie O’Donnell has been performing, mentoring and teaching disadvantaged and unwell children and young adults for many years. Her support has given many children the chance to develop their confidence, ambition and self-esteem. Ms O’Donnell has held many positions at Variety – the Children’s Charity WA – including marketing communications manager, and PR and events coordinator. Since 2015, she has been the organisation’s Fundraising Manager. Gloria Sutherland has had a remarkable career advocating for equitable access to health services. In her role as Director of the Kimberley Population Health Unit for the WA Department of Health, Ms Sutherland successfully negotiated partnerships with a range of groups, and increased the size of her staff in recognition of the need for more preventative health services in the region. Ms Sutherland is now studying a PhD about the impact of homelessness on the health needs of older women in the Perth metropolitan area, at the University of Notre Dame. The Young Alumni award recognises Curtin graduates under 35 years of age at the time of nomination who have demonstrated excellence in their field of endeavour and/or made a significant contribution to the community through volunteer service. Mr Bailey is Vice President of the Pharmaceutical Society of Australia, WA branch. He was also named a WA Business News 40under40 winner in 2015. Melissa Davey is regarded as one of Australia’s leading medical journalists. After graduating from Curtin University, Ms Davey moved to Sydney, where she worked for the International Federation of Journalists, the Northern District Times and The Sydney Morning Herald. From there, she pursued her interest in health by embarking on an editing role with the Sax Institute’s Public Health Research & Practice academic journal. She is currently The Guardian Australia edition’s Melbourne Bureau Chief. The Global Impact Award recognises graduates who have demonstrated significant contributions to society by improving or enriching the lives of others and the welfare of humanity on an international scale through outstanding professional contributions and/or volunteer leadership. Associate Professor Phil Connors is the founding Co-Director of the Centre for Humanitarian Leadership, a joint initiative of Deakin University and Save the Children Australia. The centre was established to foster innovative teaching, research and policy development in the humanitarian sector, with the aim of better helping communities around the world affected by crises. Associate Professor Connors’ research focuses on localisation and leadership in the context of improving the humanitarian ecosystem. He is also a member of the Scientific Committee on the Humanitarian Encyclopedia Project, formed in Geneva, Switzerland, which seeks to better understand and define humanitarian concepts and practices across cultures. The Innovation Award recognises graduates who have made a significant impact on their profession, community, Curtin University or society at large by developing an innovative program, process or product. Dr Syaifullah Muhammad and his team at Syiah Kuala University (Universitas Syiah Kuala) in Aceh, Indonesia have developed an innovative, energy-efficient technology to extract high-quality patchouli oil from the patchouli plant. The Indonesian Ministry of Research, Technology and Higher Education recently awarded Dr Muhammad a grant to continue his research for the next three years. From the funding, the ministry will set up a Teaching Industry Project in 2019 to enhance the processing skills of Aceh’s patchouli farmers. The Professional Achievement Award recognises graduates who have demonstrated outstanding accomplishments and an exceptional standard of excellence in their field of endeavour. Dr Rahayu Puspasari’s achievements have been nationally recognised in Indonesia. As the President Director of the Government Property Management of Indonesia (Lembaga Manajemen Aset Negara, or LMAN), she has accelerated the land acquisition process for national strategic infrastructure developments and created a new source of non-tax revenue from underutilised assets. Dr Puspasari successfully established LMAN as an autonomous ‘corporate-like’ unit under the Indonesian Ministry of Finance in 2015. Her strategic leadership in corporate governance has resulted in the reformation of state audit and the inventory or valuation of state properties, and has assisted national infrastructure development. Mr Warrick Hazeldine co-founded the public relations firm Purple Communications in 2004 with a laptop and a second-hand desk. Now known as Cannings Purple, the vibrant organisation is a leading strategic communications consultancy. The organisation has thrived under Mr Hazeldine’s direction: anticipating trends, adapting to opportunities and employing some of the industry’s best communications advisers. Cannings Purple was named a finalist in the 2018 Financial PR Consultancies of the Year at the prestigious 2018 Asia-Pacific SABRE Awards, and won the title of Australasian Consultancy of the Year at the 2015 awards. Mr Hazeldine was also named a WA Business News 40under40 winner in 2013, in recognition of his contribution to the not-for-profit and business communities. For his doctoral studies, Dr Ahmad Agus Setiawan developed a mini-grid hybrid power and water elevation supply system using renewable energy sources. The supply system design concept won a UNESCO and Daimler Mondialogo Engineering Award in 2007, and the system was later installed in Banyumeneng, an area in the Indonesian city of Yogyakarta which had a shortage of clean water. Now working at Gadjah Mada University (Universitas Gadjah Mada), Dr Setiawan is hoping to implement water supply system technologies more widely in Indonesia. Working with engineering students at the university, he is aiming to employ local residents to construct and maintain the technology.